Hello from rainy (but warm) Islamorada, in the Florida Keys. Post by Avian & Exotic Animal Medical Center. 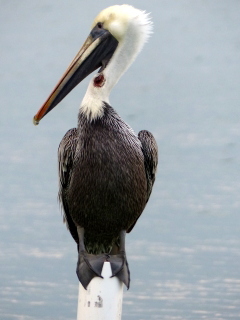 Then I saw an article in the Miami Herald entitled: Brown Pelicans Found in Lower Keys with Pouches Slashed. 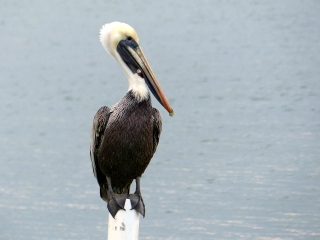 I looked again at “my” pelican, but he (she?) appears to have a wound, but on second look, probably not a wound inflicted by psychopath humans. Various species of ducks geese and egrets/herons at Scottddal,AZ, never bothered and blasee about nearby humans. Sad about pelicans and could be one sicko working alone.